Solid group of dedicated individuals on a mission to train like an athlete, eat like a caveman and sleep like a baby. There were about 10 other people that came through the Supermarket Sweep, but took off before the picture. We had random shoppers from Trader Joes following us. It was an awesome way to kickoff our 60 day nutrition challenge. 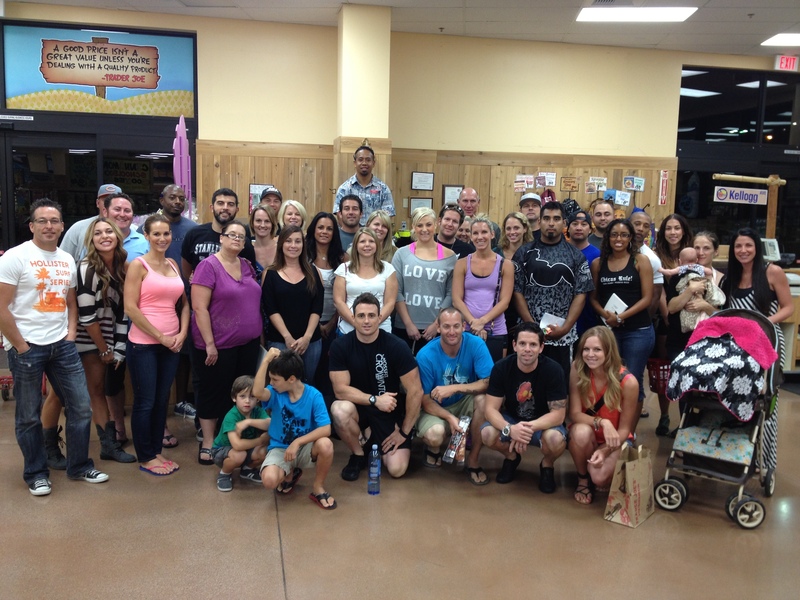 Thanks to Larry and the rest of the Trader Joes staff for supporting CrossFit CrownTown. 58 DAYS UNTIL THE NUTRITION CHALLENGE IS OVER!!! Heat olive oil in an 11″ cast iron skillet over medium flame. Sauté onion and garlic until tender, about 5 minutes. Toss is bell pepper, cumin, cayenne pepper, and meat, mixing well for one minute. Add beaten eggs and mix with a spatula until cooked thoroughly. Sprinkle with ground pepper. Wrap tightly in lettuce leaves. Enjoy. SWOD: 10 minute EMOM of – 1 DL, 1 HC, 1 FS. First two reps have to be separated. You choose loads. Heavy as possible with good mechanics.